Selecting an appropriate facility for an addict and their family is an art form. One size does NOT fit all. 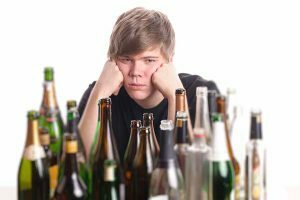 In my experience, placing alcoholics and addicts in a treatment center with people of similar characteristics has big advantages. Over the years many treatment centers will find a niche group of people that they are good at and focus on that population. Would an alcoholic, senior executive relate well to a 19-year-old crack addict? Would a wealthy, isolated family matriarch fit in a program designed for youth? It is critical to match these wounded humans with the correct support and treatment. We’ve seen significant success from having physicians treated with other physicians. The same concept works for other populations. What about someone with a high security clearance? We now have substance abuse treatment facilities that specialize in licensed health professionals, military personnel, gay & lesbian populations, etc. These specially designed programs are highly effective in treating these various populations. I work with well over 200 inpatient treatment facilities, countless outpatient programs, and numerous clinicians all over the country to find the sweet spot for a family member, colleague or friend. It’s worth the investment to hire a professional “treatment specialist,” to assist families with finding the right addiction treatment program for their loved one.